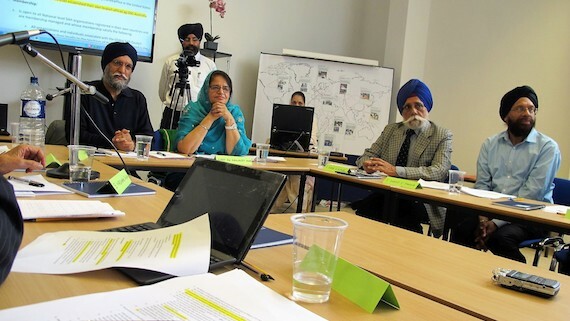 Stockton, California, USA: The Sikh Information Centre (SIC), a California-based advocacy group, issued a statement calling on Captain Amrinder Singh Chief Minister Punjab to table and implement the report of Justice Gurnam Singh’s Judicial Inquiry related to the Nakodar killings during the coming session of Punjab Vidhan Sabha. SIC referred to the facts of the Nakodar killings. On February 4, 1986, Sikh Student Federation members gathered in Nakodar to collect ashes of Sri Guru Granth Sahib Ji which were stolen from Sri Guru Arjan Dev Gurdwara, Nakodar and burned by miscreants. Later investigation alleged possible involvement by the Punjabi branch of Shiv Sena, a violent Hindu nationalist organization. As Sikhs protested peacefully, police opened fire on the unarmed gathering. In the unprovoked firing, police killed four Sikhs: Ravinder Singh Littran, Harminder Singh Sham Chaurasi, Baldhir Singh Fauji and Jhalman Singh Rajowal Gorcian. According to a report by the International Human Rights Organization (IHRO), police shot one of the victims at point blank range. 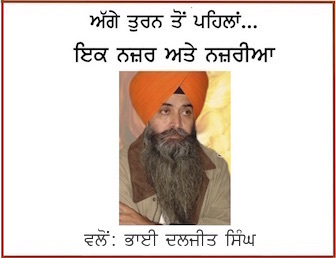 The IHRO report states that Police Inspector Jaskirat Singh Chahal challenged Harminder Singh Chaluper by name before shooting him in the mouth.SSP Izhar Alam, SP(D) Surjit Singh, and ADC Darbara Singh Guru were also implicated as directly involved in these killings. Despite identification of the victims, the administration refused to hand over their bodies to their relatives. The dead bodies were cremated by the administration as unidentified and unclaimed. On February 5, 1986, the Punjab government marked an inquiry into the incident. The inquiry was conducted by Justice Gurnam Singh, who submitted his inquiry report to the Punjab government on March 29, 1987. However, the report was never made public after being squashed by then Punjab Chief Minister Surjit Singh Barnala.